Boulevard and Metro Pasteur in Paris ? 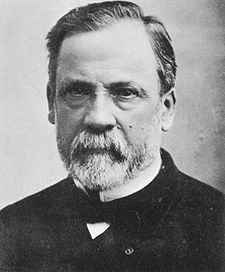 Louis Pasteur (1822 – 1895) was a French chemist and microbiologist. His discoveries reduced mortality from puerperal fever, and he created the first vaccine for rabies. He was best known to the general public for inventing a method to stop milk and wine from causing sickness, a process that came to be called pasteurization. In many localities worldwide, there are streets named in his honor. In Paris, Boulevard Pasteur and Metro Pasteur are located in the 15th arrondissement.